Last Friday, I went to Legends Bar straight from my worksite Coney Island where NY de Volunteer doing the Happy Hour FUNdRaiser event. 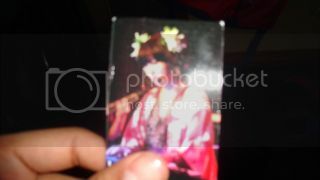 It all started in the 2012 year on my first visit around June at Tammany Hall and I got to wear the Yukata. My first visit is with Tsubasa Matsuda along with Shiori Shinohara. Then the second time in October at Legends Bar, I have once again participated the second time with 2 performers which are Magician Rich Kameda with Singer Lulla Miyuki and won the watch in a raffle game with only 2 tickets. My third visit is quite different. I have earned a lot of money on the Hurricane Sandy cleanup job and it’s time for me to use that money to help 100 children in Explore Japanese Culture programs. Every $20 equals 1 child to join the program. 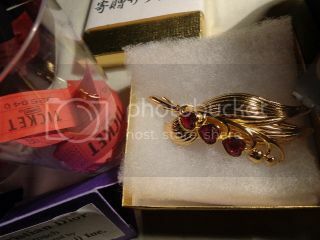 So I have prepared this time with 2 Origami Earrings for $20 which is fan and crane shaped. I know Lulla already worn these so I’m planning to give them to some woman never seen or had it before. I hope it’s not in the slap of the face but my mom should have it. I threw in $40 for the 15 raffle tickets. So I started putting multiple tickets on the same prize and 1 ticket for each prize. When the 1st round of the raffles is called, 2 prizes are easily won and I’m not shocked that I won because no one throws their tickets in so it’s the only ticket being thrown in. I was feeling a bit easy on the ticket holders so the prizes I received is the pink Puma bag which costs $80 and some Japanese clothing which is around $40. 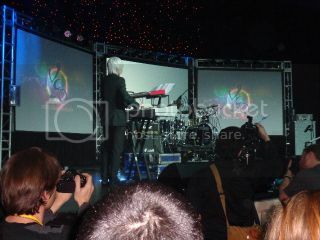 After the first round is over of the raffles, there is a live performance with Yoshiki Miura. Time goes as quickly as I continue eating my food and taking pictures. 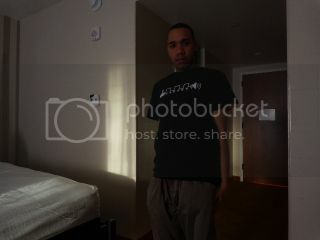 Then I decided to get the NY de Volunteer T-Shirt and brought 5 more raffle tickets. That’s $30 more dollars. I wanted both the Cosmetic Beauty Makeup’s from NARS and Christian Dior Jewelry and I threw multiple tickets on that same prize. 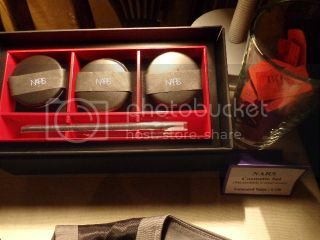 By the way, the NARS Cosmetic item not sold in retail stores. 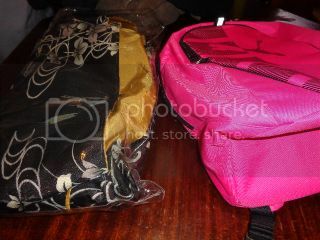 These items are for a special someone’s birthday gift from a female but I will not reveal that person’s name. 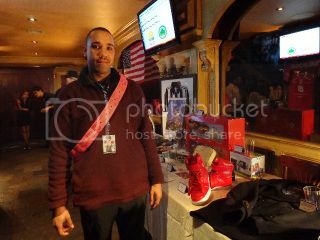 When the second raffle gets called with more tickets thrown in from other people, 2 of my wanted items I did not win. 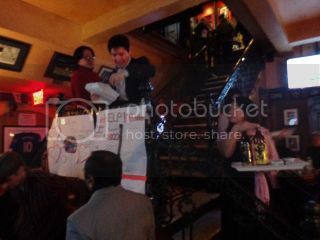 Sad and disappointed that I didn’t win these expensive prizes for someone special I love the most. Before the event is over, $6 of my dollars is thrown and over $2000 is made. That bulletin board signifies that I supported the children’s EJC programs. I had fun with NYdV staff and the people I met. The next NYdV event will be held in the end of March so I’ll be looking forward to it. Also, I think these pictures of my 2 raffle prizes may take about a week or a month to be uploaded on their NY de Volunteer Facebook page. It’s 2013 and it’s time to rise and shine as I went to the MIKA JAPANESE Cuisine & Bar in Chinatown where Reni’s monthly maid show are being held. 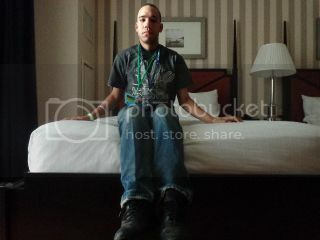 As a MAGFest 11 attendee from last week I have to come to the place with my MAGFest shirt and badge. It’s also the day where KotoriCon is taken place at Gloucester College but I wasn’t interested in going to pointless anime conventions. 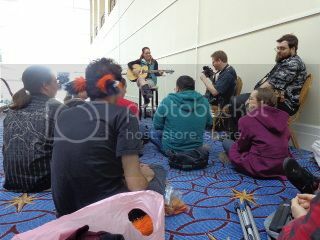 Not even Katsucon in February which takes place at Oxon Hill, Maryland at the Gaylord National Resort & Convention Center. 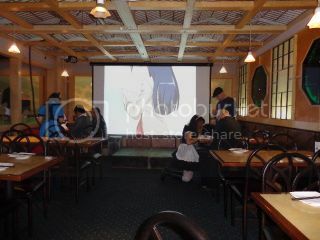 As usual in the daytime, there were maids trained to serve customers and the menu is designed for the event purposes only. 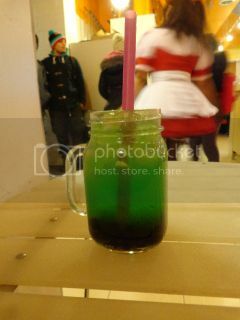 Certain food and including Japanese alcoholic drinks from MIKA aren’t allowed in the maid café area (especially without paying the $15 fee to enter the maid café area). The rule applies to bringing outside food and drinks. Our investigation is nothing more than just myth and stories. But when night time comes, that’s when the moé dancers come in along with crazy unfriendly content like with Amber Village in 2010 and MIKA December 2012. It’s becoming more like the regular maid café entertainment after the October 2010 era when the Moé dancers get to perform only in non monthly maid café shows. Anyway I ordered the beef teriyaki special with red bean ice cream and strawberry bubble tea. As you remember our trip to Boston in November 5, 2011 alcoholic beverages are listed in the Boston’s All Asia Bar Moé Moé Honey’s menu. It does not carry on to New York like Amber Village. 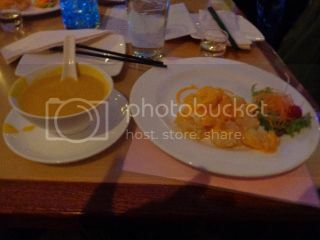 As usual, there are critical problems with their food order and unlike Apple Kissa maid café we went on January 2nd, every ticket gets straight and every food comes to the customer. The same goes with some Tenshi No Ai events. I don’t think Moé Moé honey can compete with Apple Kissa maid café. Wait until Spring Fest maids come along in 2013. MoeCure and then Reni Mimura join the stage. Then everyone’s a star time with includes Cosplay (I didn’t bother with the fashion trend on stage), First Timers, and Birthday, then jumps straight to Moé Moé Janken and already lost the game in the second round. Everything all set in time until 2:30PM hits. 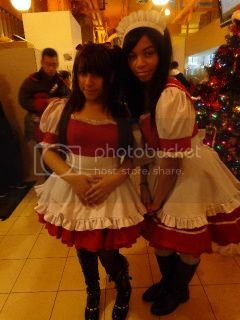 Then had every maid taken a photo. 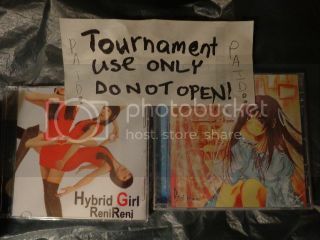 After the show is over, I brought 2 Hybrid Girl, 1 Sakura, and 1 Anime Song CD. I am planning to host the WWF No Mercy Tournament and these 2 CD’s will be a second place prize. 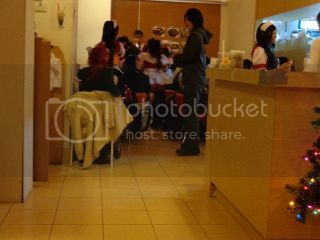 During the show, I was anonymously taken 2 photos at Reni’s maid café. 1 with Reni and the other with EriPanda. Then will be uploaded on my perfect memories Facebook fanpage of Insectduel’s Domain. 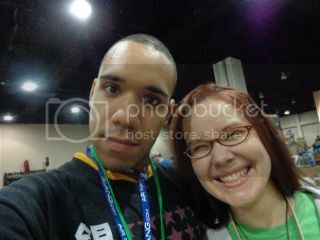 It’s Day 3 of MAGFest 11 and it’s the last day of the convention. After some excitement from 1/5/2013 even with a little disappointment from the stopped photography with people at the 2PM autograph session, I think it’s time to have some fun while it lasted. Unfortunately as I looked in my MAGFest 11 program schedule, I cannot stay for the closing ceremony if I have the reserved bus ride ticket back to New York City. 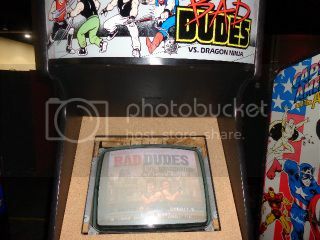 As I head to Panel 5, it was closed for somewhat reason, then head to the lower level playing some arcade machines which includes Bad Dudes and Tron. The 10:30AM panel after checking out of the room at the Gaylord Hotel, Going Pro: The Business Side of Quitting Your Job and Making Things is an interesting panel. The panelists get to ask their questions before the audience. A person like Nicole was an example of quitting her job to become a musician of Hello - The Future band. As for me, I would like to take my ROM-Hacking side while money needs to be made or even Kuja Killer perhaps. Question is, would you quit your business job and make money doing freelance work? While things are going packing, I get to see Nicole play her guitar in between stairs in the Hotel Lobby area. Her show is called the Fruit Ninja show; well people pass their fruits while she’s singing. Prizes awarded if she’s stopped singing and the last person holds the fruit. There’s also a Q & A along with the songs she sings. After the show, I got some chatting with Nicole and brought 1 last item from her. 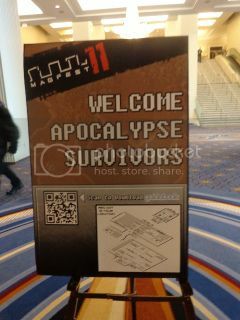 Then I depart MAGFest 11 at the Gaylord National Resort & Convention Center. Taking my time to find the bus stop to Branch Avenue Green Line Station and the ride only took 45 minutes. By the way, the Washington Metro Bus fare is $1.80 and dollar bills can be inserted unlike the MTA buses in New York and rules are VERY strict. Trains only took me 30 minutes departing from Branch Avenue to Gallery Place – Chinatown where I can catch the Red Line train to Union Station. 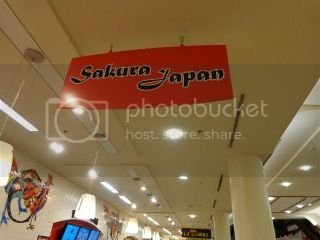 During wait time for the bus arrival, I decided to purchase food at McDonalds at the middle level, then Sakura Japan and Kabuki Sushi at the lower level of the Union Station terminal along with Donuts. 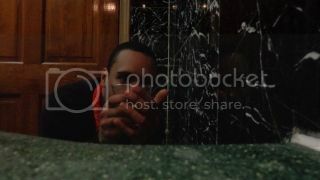 During the bus ride before heading to New York, I was half sleep during the trip. It’s all about relaxing your back. It’s Day 2 of MAGFest 11 and I’m ready to get up and take a quick shower before changing my clothes and head to Kinuyo Yamashita’s Q & A Panel. It’s a standard question and answer panel where people ask about Kinuyo’s music, career, and sometimes unrelated. During the panel, lights were flickering on and off as another panel room next to it may have caused it. The entire Q & A Panel is recorded and uploaded on YouTube. 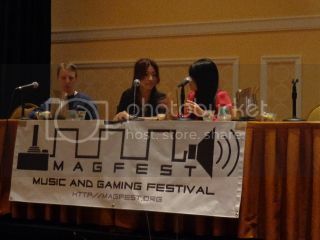 After the Q & A Panel, she plays a mixture of Blizzard Buffalo and Zero’s theme from Mega Man X3. 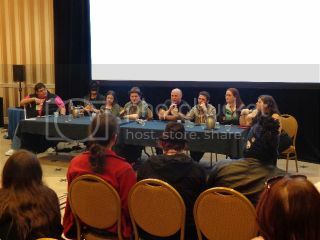 When the panel is over, we have a group photo which in my area is similar to UZUHI’s group picture which you have to tag yourself when you upload it on their Facebook page. Then I have to go to the merchandise area and try to find the poster I like for the autograph session with Kinuyo, Chris, and Yuzo. I ended up finding the Pisces poster after my lunchtime at Subway Sub Sandwich restaurant which is my birth zodiac and head over to play arcade machine a bit. 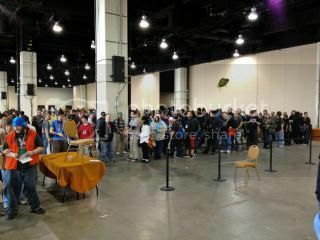 My arrival at 1:45PM, the line for Kinuyo Yamashita autograph session was getting a bit lined up and almost reached its starting point. As the 2PM autograph session begins, the line moves a bit slow and much slower. 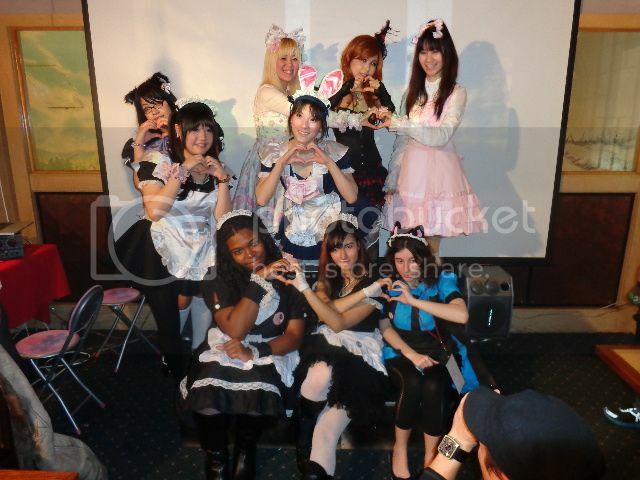 My goal is to meet Kinuyo Yamashita once again and to have our second photo taken like with Video Games Live in Red Bank, New Jersey in April 2012. By the time I reached the LAST row of the line, the guy told everyone whose still in the line that the photography with Kinuyo and 2 others is no longer to be taken but to have your autograph signed. How sad and disappointed. The 2 girls behind me also wanted the same as I do but for me I rather just come what I came here for. I didn’t come for a photo with Kinuyo but to have an autograph from her instead on my Pisces poster and of course the handshake from her. 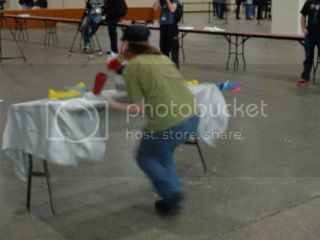 Wondering if I ever wasted my trip to MAGFest not succeeding my goal? At least it didn’t go to waste as I’ve forgotten about the group photo on the morning’s Q & A session, I’ve just need to wait for Kinuyo to upload it on Facebook and get tagged in it. 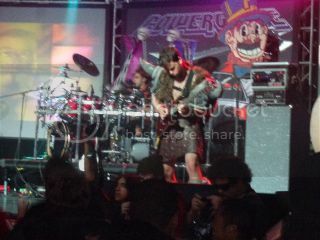 Luckily, I was in the front row. Question is, do photo quality matters? To me I think so or maybe not. The first photo with Kinuyo taken by the cell phone camera at Video Games Live might not be so bad after all but I’ll keep on trying next time which takes several months. With Kinuyo out of the way, I was remain in the room where the board games are played and the table flipping charity at 4PM for the Hurricane Sandy victims. 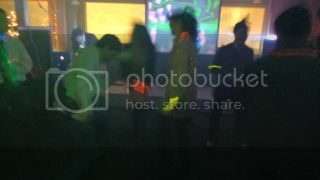 Then played a few arcade games in the lower level but I’m not so good at dancing games which I tried and blown it. 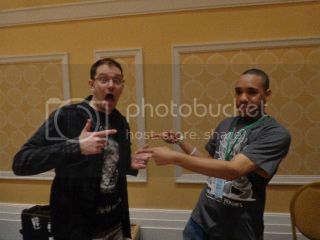 And now the 6PM panel session in the same room where Kinuyo was, James Rolfe the Angry Video Game Nerd is fun and laughter. 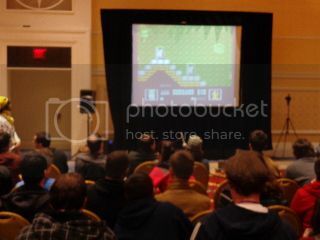 Rolfe showed a few games and let the players tried their very best to pass such as Dark Castle on Sega Genesis, Silver Surfer on the NES, Back to the Future on Sega Genesis, and Dr. Jekyll and Mr. Hyde. There is the other game on the NES but I forgot it is when you try to enter the castle in the beginning of the level. As Rolfe mentioned that he will do his autograph session in his room, I had to run up to get my Pisces poster in my hotel room. 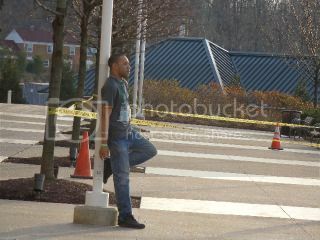 The line was really long and took almost 2 hours. I had an autograph from James and had our picture taken. See, I have been collected something that’s part of my memory. 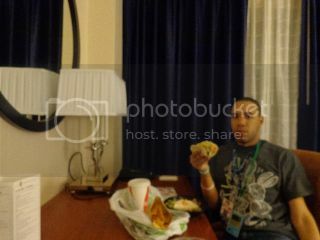 After James Rolfe’s session is over, I went over to the Taco Mexican restaurant and brought food and eat it at the hotel. After eating my food, I’ve watched the PowerGlove concert which they really rocked and then continue on with Yuzo Koshiro’s dance night until going to the sleep for Day 3, the departure from MAGFest 11. Day 1 of MAGFest is when I depart New York City at 10PM and head to the Apple Store. I have to make sure that my bus ticket’s designation is legit. It usually says 7th Avenue and 28th Street but it’s relocated to 34th Street between 11th and 12th Avenues where the Javits Center is. Yeah, I would have taken the Amtrak train to MAGFest instead. 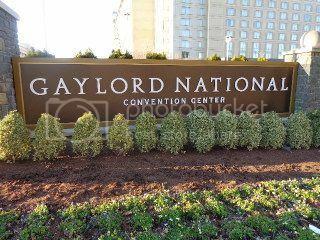 As I relaxing on the front on the bus and took the Washington METRO including the NH1 Metrobus, I have arrived to the Gaylord National Resort & Convention Center. I immediately Check-In a room after I gotten a registration badge but my Debit Card wouldn’t go through. So I ended up paying in cash which is sad. 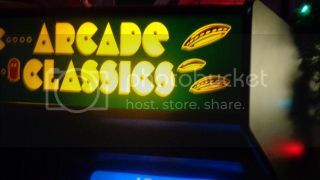 As I wonder around the convention tour, there are arcade machines in the lower level of the Gaylord Hotel. 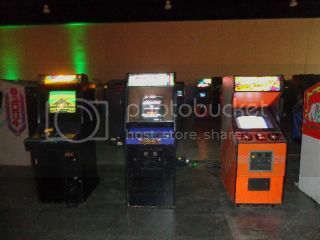 However all arcade machines is free play including the hacked version of Arkanoid which brings MAGFest puzzles and no bosses except in later levels. There is a button where to proceed (skip levels) but it’s considered boring and disadvantage. While moving on, every convention should have a booth. 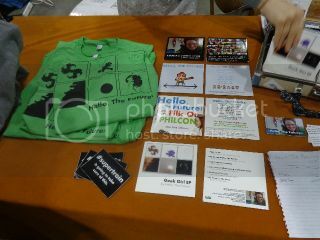 While wondering I have brought a few merchandise from Geek Mythology Crafts and met someone at random. Actually, I need to meet up something new for a change so I stopped with the booth named Hello, The Future. So I gotten 2 CD’s from the person named Nicole and had our picture taken. WOW, I just made a new fan follower. The tour continues as I head to the concert level for a chiptune showcase as I waiting to compete in a Super Smash Bros. Melee Wii Tournament. 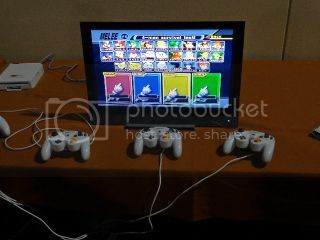 While everyone is competing, most people were Ganondorf, Marth, or even Link players but I chose Pikachu. Sadly I have lost the tournament and decided to play other games and check out shops even the autograph session. 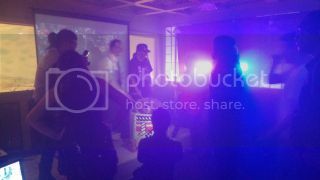 For the entire Friday evening, I have attended in an OverClocked ReMix music remixes panel and it was great. 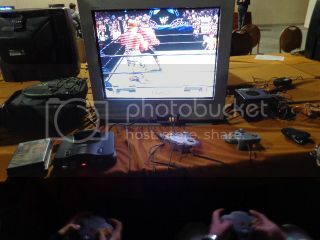 Then onto the lower level for the WWF No Mercy tournament. I was signed in but the hacked version or demo perhaps changed randomly so the game was written in a tournament sheet instead of the game itself. For the entire tournament, I have used Chyna and beaten 2 opponents. Unfortunately, my opponent decided to rapidly taunt at me losing sprit meter raise their spirit meter which by the way I restarted the match with honor after the guy came back. The tournament takes longer than it expected as I decided to leave the tournament and go to VGO – Video Game Orchestra concert. What a night it was and went to sleep for Day 2 of MAGFest looking forward to meet up with Castlevania composer Kinuyo Yamashita as I already have a copy of Saturday’s schedule. 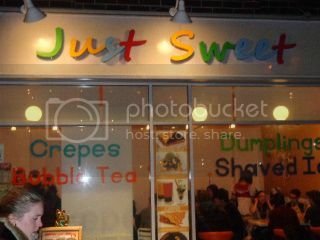 Last Wednesday in East Village, I have decided to go to the place called Just Sweet Dessert House when the Apple Kissa Café maids are running the place. Unlike Reni’s Moé Moé Honey café, Apple Kissa is just a standard café with sweet desserts and food with it. While I enter, there were crowded people and I’m waiting for a table. 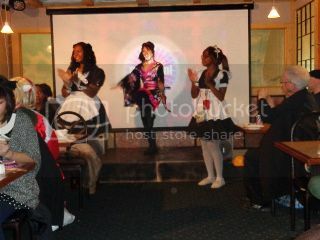 Then the cosplay entertainer Sneko who is also the Apple Kissa maid serving me a table and gotten a menu. Looking carefully at the menu to see what I want. Then the food orders come in. First thing is being served on the table is the Apple Green Tea. Of course the bubble teas in every flavor have tapioca in it to eat with so you have to drink it really carefully to avoid choking. 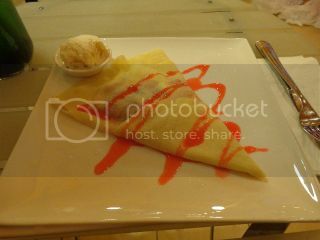 Second is the Pink Romance Crepe with Vanilla Ice Cream. Strawberries are inside the crepe with strawberry syrup. 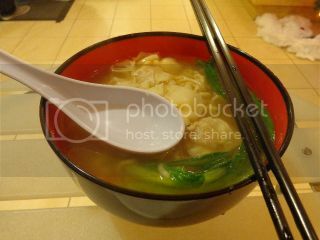 Third is the Wonton Noodle with the choice noodle of Ramen. Every Wonton has meat in it so I have been eating Wontons in most Chinese food restaurants and the Far Rockaway one near the Rockaway Boulevard (A) train station is the worse cooked Wonton. And the final one is the Chicken with Mushrooms Dumpling. 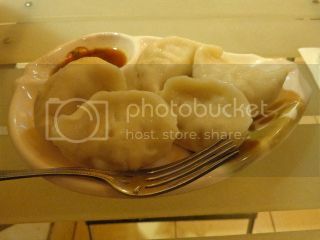 Dumplings and Wontons are not exactly identical but I have no idea what is the difference. After watching the Apple Kissa maids and a butler doing their jobs, they use common sense. They know that they can’t serve customers with dirty utensils. However, Apple Kissa is much safe environment than Reni’s Moé Moé Honey café since with the alcoholic beverage serving (although special events of Apple Kissa also do the same but they would not slip anyone under 21 to purchase and drink.) 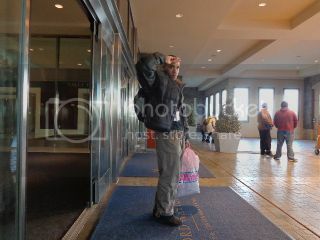 without proof of ID after showing the ticket on December 31st event in Chinatown which is too dangerous and irresponsible. 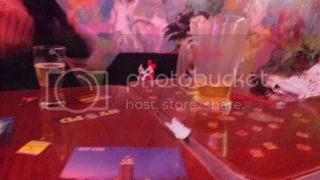 Most of the time, there were alcoholic beverages on their Moé Moé Honey’s menu especially Boston and All Asia Bar bartenders does not slip under age of 21 people to purchase and drink. 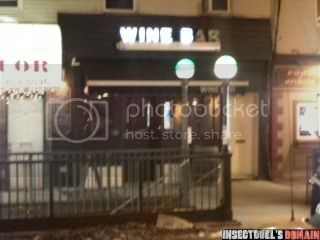 And don’t forget, Domaine Wine Bar in Long Island City does not welcome Non-Alcoholic Drinkers. 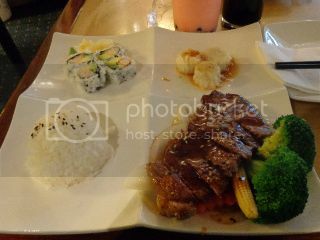 I’m really hoping to come to Apple Kissa restaurant once again very soon! Last week on New Years Eve, I’ve decided to go to MIKA Japanese Cuisine & Bar after work for a New Years Eve Party. Of course, I have arrived 6:30 PM which is earlier than it ever was. As I got in, I immediately show them my ticket and gotten a table. But wait a minute, I see 4 names which friends that I already knew. 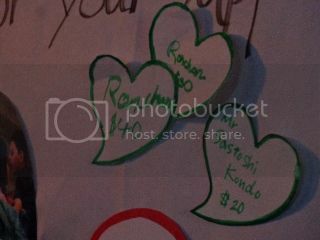 I wonder if Reni Mimura set these names up in a dinner table as 4 people because she knew that were fans of Reni. By the way after I showed them my ticket, they didn’t ask for my ID. A serious danger may occur when it comes to partying with a restricted age limit especially when it says NO AGE LIMIT Reni mentioned on her (their) Facebook page. Waiting over an hour and one show up and started ordering, then other one comes over. During the food ordering, the alcoholic clear drink Saké is provided for free. Not good since I don’t drink alcoholic beverages while the two friends drank it. 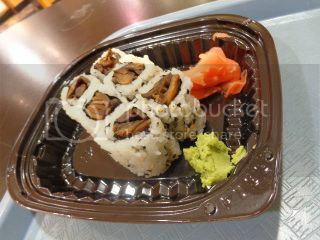 Then some nice food is provided which tastes good along with tempura ice cream. After the meals, then the performance starts with the dance choreography My Shy Master remix and NEKO (Kitty) with 2 other dancers Saori Kato and Yuko Ikeshita. Unfortunately, we thought we won the alcoholic drinking war against Reni Mimura’s shows but we knew and eventually will host it at New Years Eve. Ever since 08/25/11, it hasn’t been hosted as we reported it and mentioned in our blog Insectduel’s Game Corner. Now Reni Mimura is once again being an idiot or a stupid moron as she didn’t think of the others. 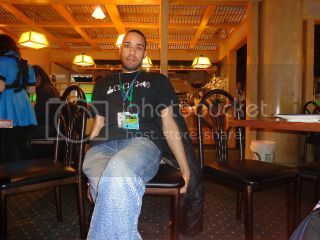 I don’t play around this time since I was stricken on 08/25/11 with an unknown drink after the cosplay fashion show. Now my story continues. Reni Mimura takes a shot of the Saké drink. Available to Insectduel’s Game Corner only, not shown to the public. With the premonition which means dreams that predict the future, it guesses right! Reni Mimura was an alcoholic drinker (don’t know how long she was) and also lied on social media networking. 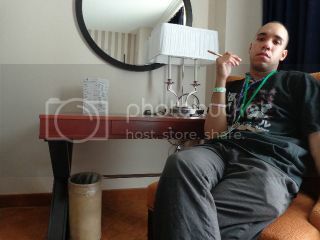 According to MySpace.com in 2009 when I used to have that account, the Smoke / Drink in Reni’s profile was No / No. And according to Reni’s YouTube, Reni doesn’t smoke which guessed true. While the next performance is pending, the maids are serving alcohol drinks and water with a price range. So how’s the NO limit thingy, still not showing people ID? It’s nothing but dancing but I rather dance with my friend Yuko Ikeshita since she’s always the pretty cute Japanese female type. While the party is getting crazy thanks to Reni Mimura’s shenanigans, I can think of one respective friend I gone with and that one is Lulla Miyuki which is the vocal singer, pianist and a songwriter. 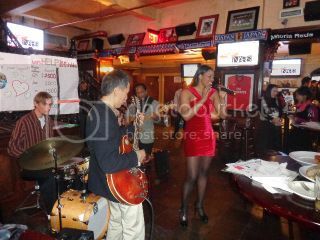 Before Midnight bringing in the year 2013, Reni performs Suspect A which is available on iTunes and on YouTube. Then Reni brings on the Moé Moé Janken game and the winner will get a free drink of the saké shot. Of course I joined the game and picked the fake winner hand which forces me to lose the game on purpose. I kind of looked a bit and picked slowly. The female says what the hell as I told her. As the clock did hit midnight, every one gets a saké drink and Reni Mimura got saké splashed on her hair and parts of her face. During the midnight run, I picked the saké drink given my Yuko Ikeshita and discarded it in the men’s bathroom. Well Yuko is just doing her job so I rather just get with the flow. I told Yuko I wasn’t an alcoholic on June’s j-Summit while I tried to get a drink from a bartender at The Bowery Electric while dancer Fuyuko was next to Yuko. What’s worse is, Saori Kato tries to call me for a free saké drink (means to become a drunken person) but I didn’t want to and the guy wouldn’t stop harassing me. On my jurisdiction review, I thought my friends would treat me with respect but people who try to get me drunk aren’t consider to be my friends. 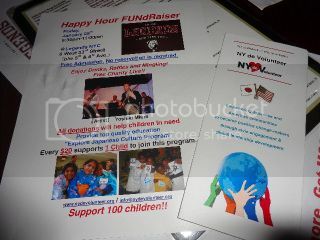 With Lulla at NY de Volunteer event in October, she didn’t offer me an alcoholic drink. In the whole event, I avoided all saké drinks. Reni tries to hug me as I’m trying to avoid her but she wouldn’t leave me alone either. You know I remember the first time the maid café opened in September 2010; Agent Sato says no hugging Reni but Reni just hugs people at random and including the losers of the Moé Moé Janken game. Anyway, I was caught by Reni and hug really hard at me which wonders me if I still love her as a friend. My feelings are still in denial right now and lied to Reni on discussion. I don’t think Reni Mimura would never respect me at all but I would NEVER be attending on an alcoholic drinking maid show again. Afterwards, I and 2 other friends went on a hang out bar in City Hall and decided to drink premium ale and played 2 arcade machines. I drank 1 glass of premium ale and that’s it. Then I went on home. 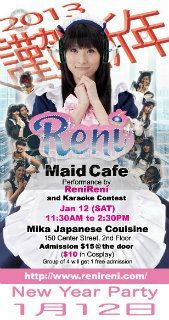 Reni will have her monthly maid show on Saturday January 12th, but I’m not sure if all Moé dancers will attend of Chika, Saori, and Yuko. 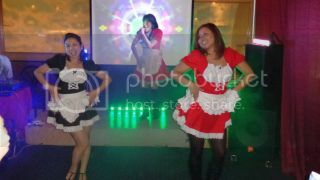 It’s just a monthly maid show but since its taken place at MIKA Japanese Cuisine & Bar, the venue will be serving alcoholic drinks to adults over 21 years of age.